Useful to help heal wounds and ulcers. Pisces Pond Salt, for general health and care for pond fish. 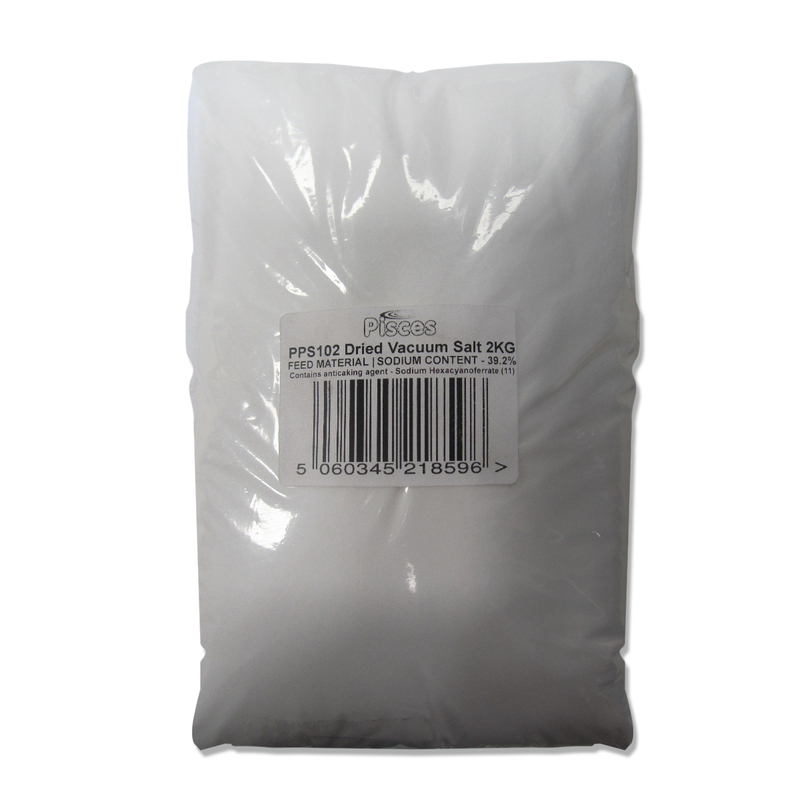 Pisces Pond salt is an industrial pure dried vacuum salt that has an array of applications for the Pond keeper. The Salt can be used for general fish health and to help the fish recover from illnesses. The salt can form a "liquid bandage" to help the fish recover from wounds and ulcers. Adding to the pond water can also reduce the toxicity of any nitrite levels present in the water. When added to the pond in the colder winter months, the salt helps to form a mucus layer to protect the fish below. Salt can also be used as a general overall tonic for fish to help improve colour and stimulate appetite. Pisces Pond Salt is not fit for human consumption.